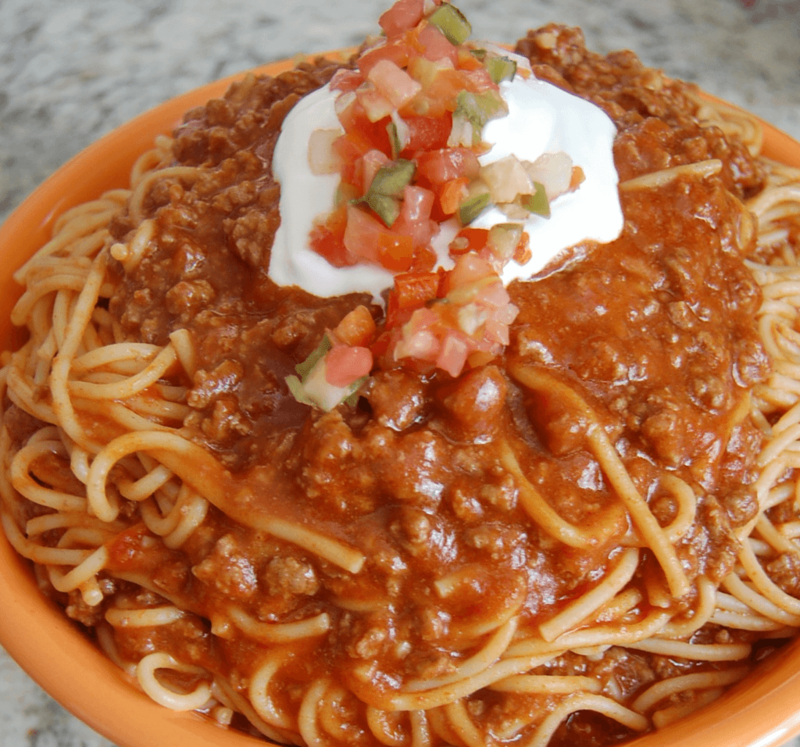 You might not know this… but National Spaghetti Day is January 4th! 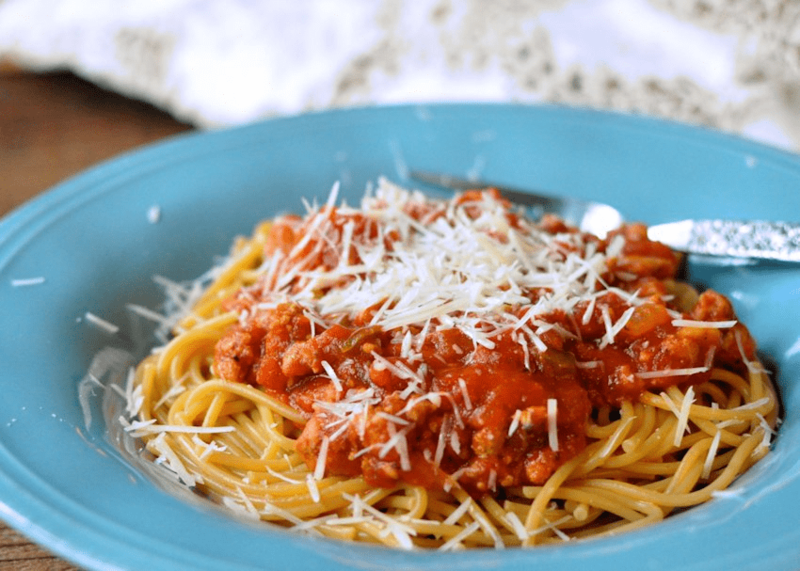 I love Spaghetti and thankfully, it tends to be one of those things that moms can usually convince kiddos to eat without too much of a hassle. Since there are so many different ways to prepare Spaghetti, it can pretty much be customized to any family’s particular preferences. For example, some days, my kid just really can’t stand the idea of eating sauce on his pasta. Simple fix! I typically toss his spaghetti noodles in a bit of butter and add a little garlic salt and Parmesan to flavor it up. There are a ton of variations of spaghetti to choose from! When we need an easy to prepare dinner that is incredibly affordable and can feed a crowd, spaghetti is always a top choice! That being said, if I made basic spaghetti the exact same way constantly, I’m pretty sure I would burn the family out pretty quickly. I have gathered a huge variety of different recipes for making this classic family dish in a ton of different ways! Celebrate National Spaghetti Day with anything from a traditional Spaghetti and Meatballs dish to a Bang Bang Shrimp with Spaghetti pasta dish! 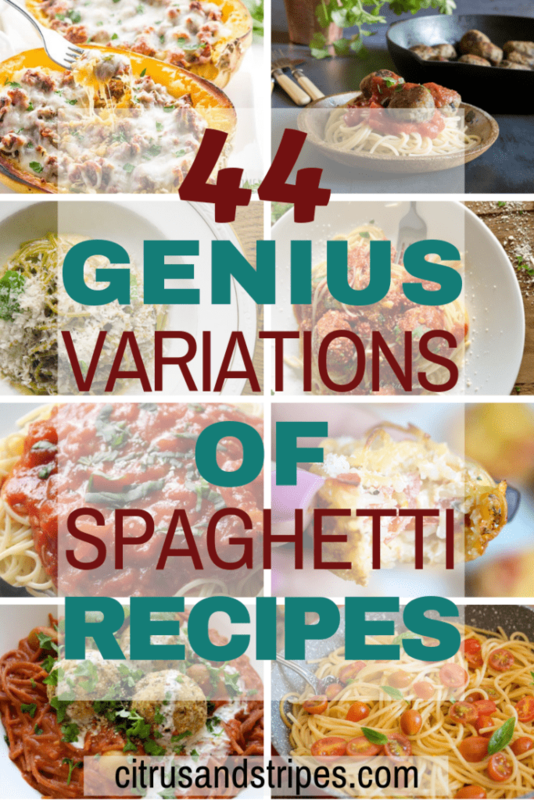 Without further ado, in honor of this glorious dish and the wonderful national day it has been given, here are 44 completely awesome spaghetti variations! Try them out and let us know which ones you tried and what you loved in the comments below!! You can’t go wrong with the classic! 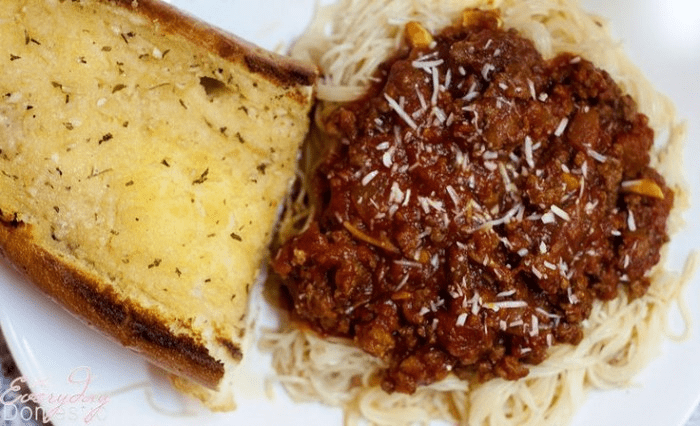 This recipe from The Rustic Elk is sure to please any Spaghetti lover! Did you know that Bolognese essentially just means your basic meat sauce? It originated in Bologna, Italy, which is how its name came to be! This recipe from Moms Koop is fantastic! This is a sauce recipe that is DEFINITELY worth trying out. It originated from a Pioneer Woman recipe that The Bewitchin Kitchen came across and tried out on her family! This is an incredible recipe seeing as it came about being posted when Tamilee Tips actually interviewed (WHAT?! ), Gwyneth Paltrow! 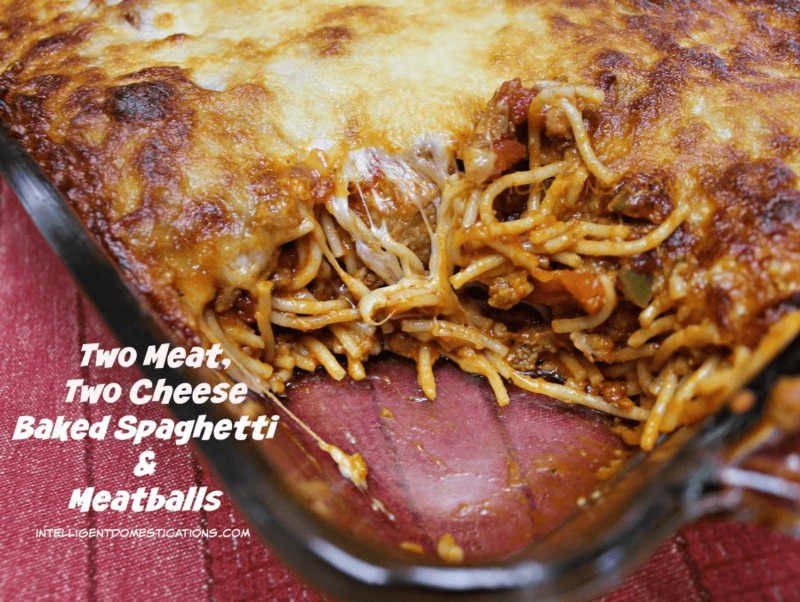 This is one of the spaghetti variations you’ll want to check out!! I have to admit, I am a bit of a salad obsessed mom over here. I LOVE making a salad with Spaghetti and this recipe from Cook With Me Darling pairs perfectly with Ceasar salad! In our house, Spaghetti night just isn’t complete without the garlic cheese bread on the side. 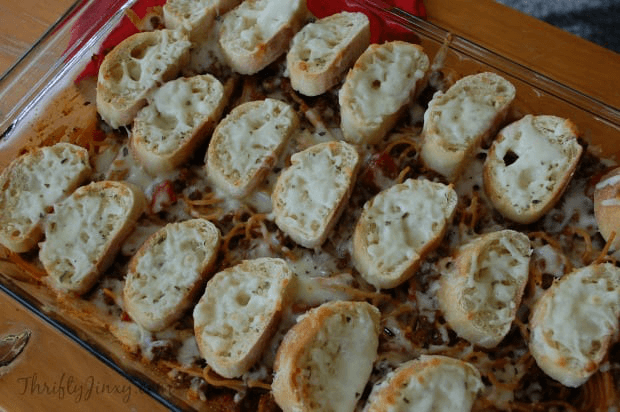 This creative recipe from Thrifty Jinxy actually makes spaghetti and garlic bread into a casserole-style bake! Genius! In my opinion, the thing that makes baked pasta tower above regular pasta is the fact that you can pile on the melty, gooey, cheeses! 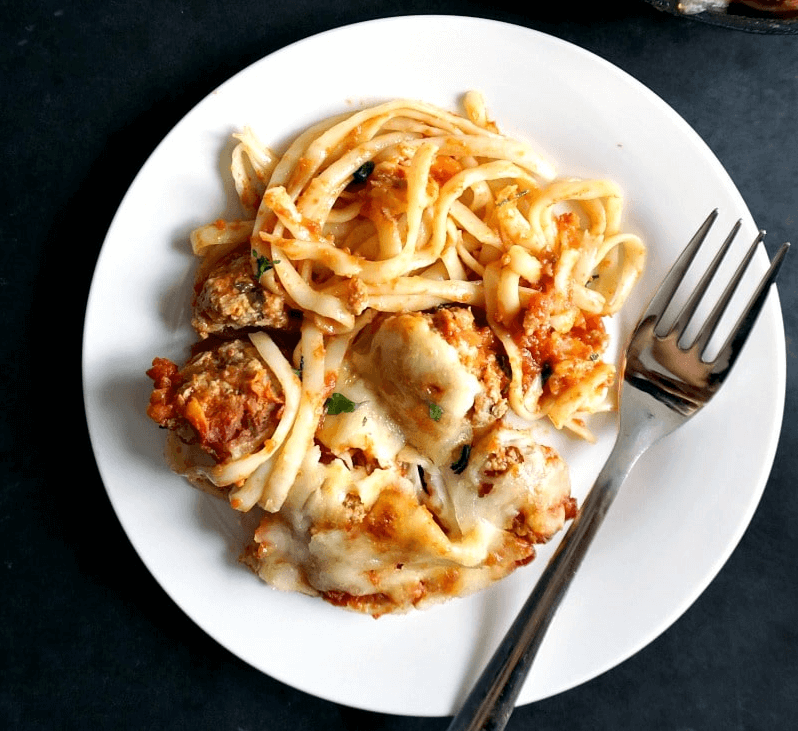 This baked spaghetti and meatballs recipe from My Gorgeous Recipes does just that! 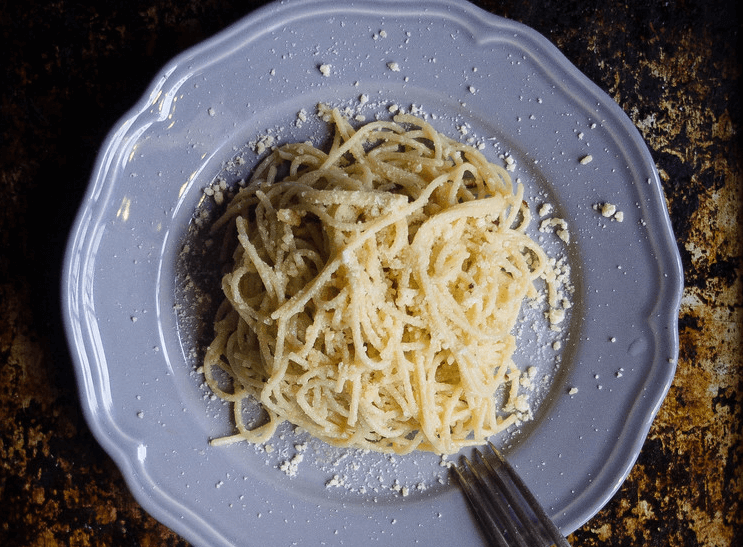 This recipe from Intelligent Domestications is surprisingly easy while giving a new twist to the basic Spaghetti variations we are used to! Most of us are always looking for ways to continue making our staple family dishes but with a bit of a healthier take on them. 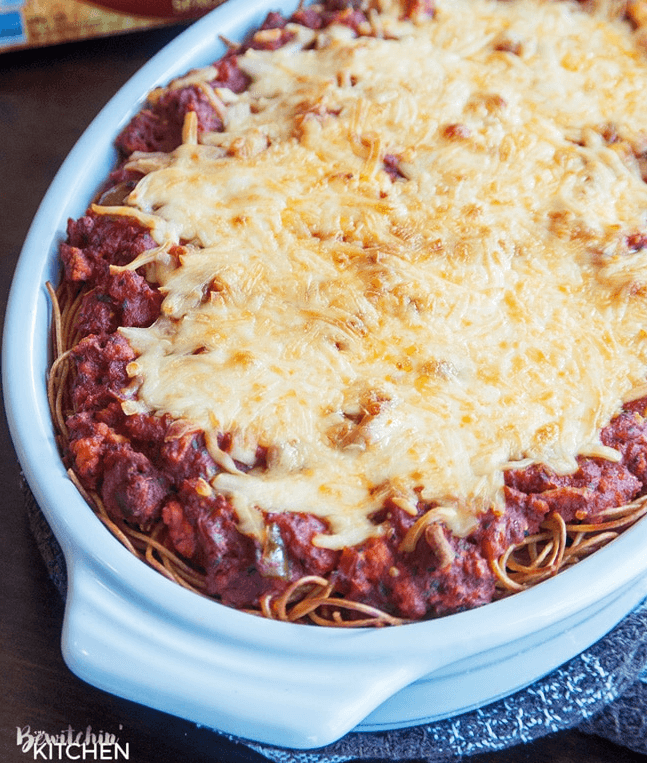 Bewitchin Kitchen has a fantastic way to make a Skinny Baked Spaghetti recipe that won’t disappoint! When you add bacon to spaghetti noodles, nothing can possibly go wrong in the world, right? 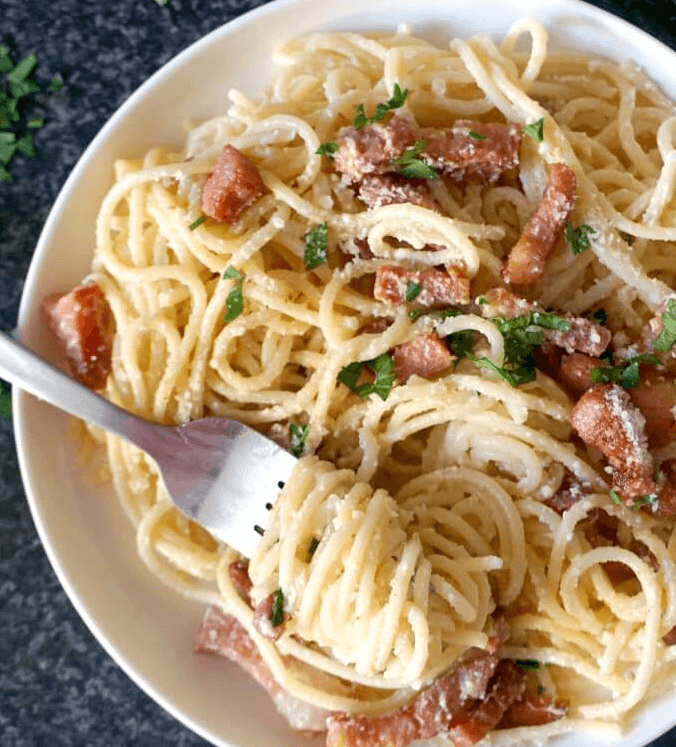 This Bacon Carbonara Spaghetti from My Gorgeous Recipes is absolutely mouthwatering! 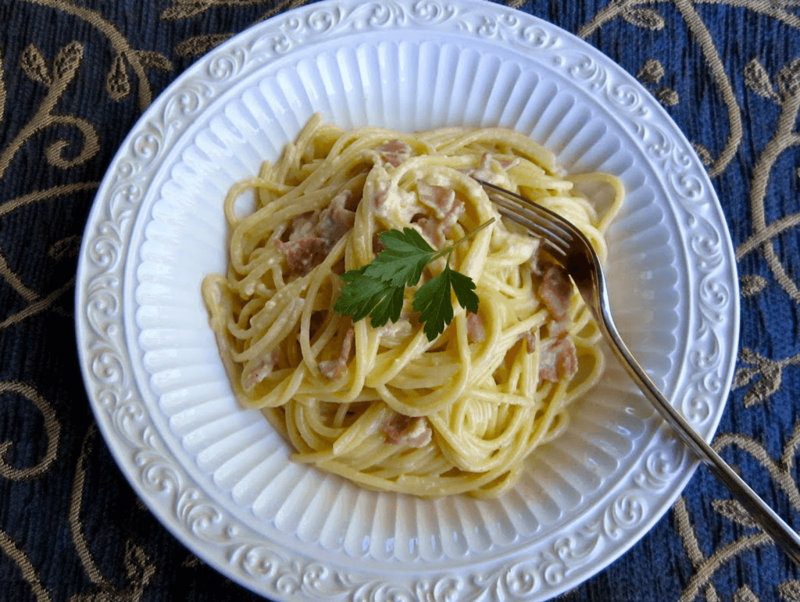 Another take on the Spaghetti Carbonara from Christinas Cucina, this creamy, delicious dish will please the entire family! 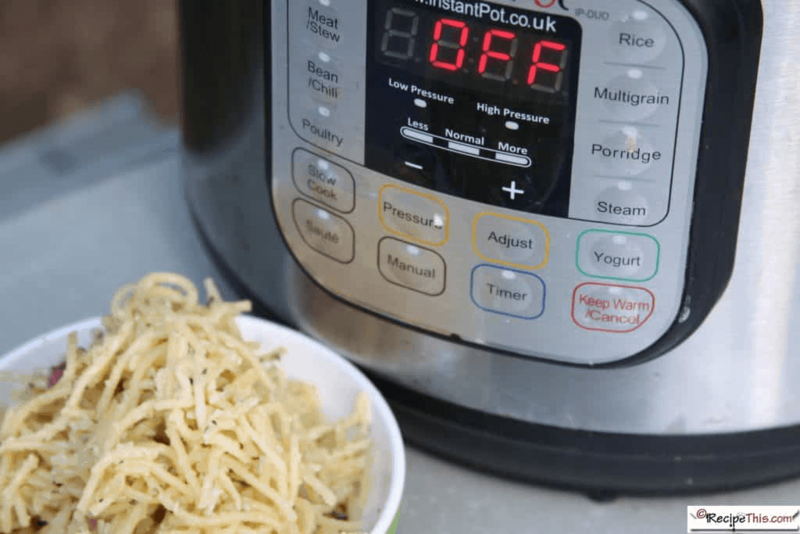 If you have an instant pot or any version of one, you likely know how much easier they make cooking! 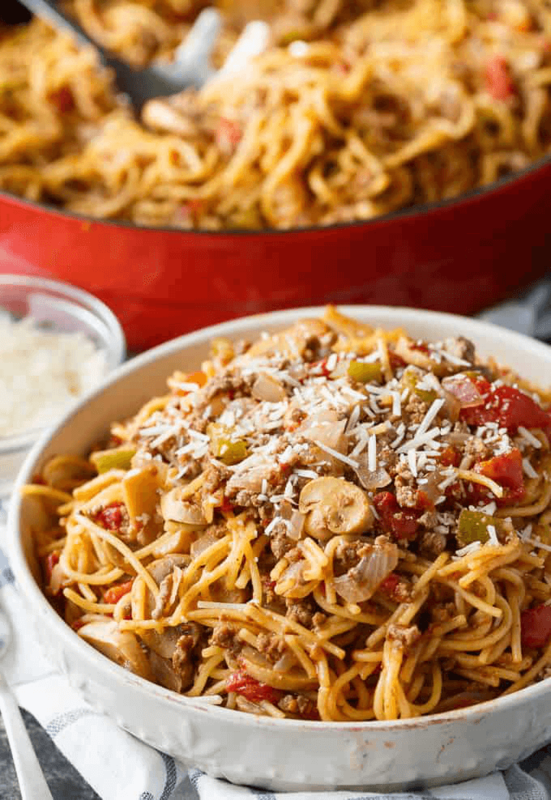 This Instant Pot spaghetti from Recipe This is a great way to make a family favorite fast and east! 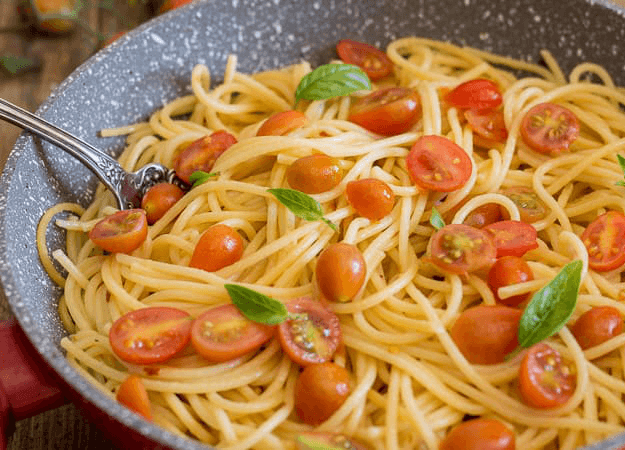 Why dirty multiple dishes when you can make this incredibly satisfying one pan spaghetti from Simply Stacie? Making your pasta sauce in the crockpot is the most practical hands-off way for busy moms to make a hearty meal for their families. Tammilee Tips has perfected this one! 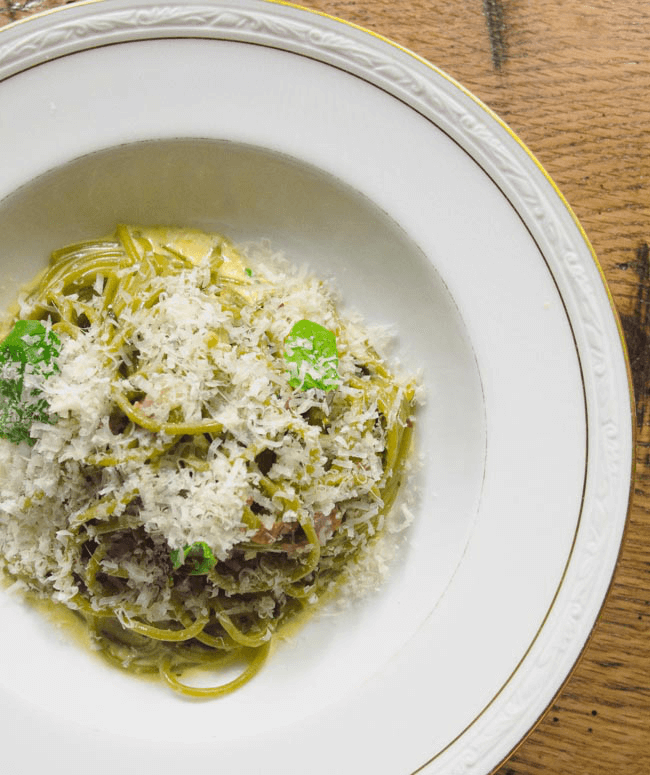 Sometimes, we want that Spaghetti concept without the heavy, meaty sauce we are used to. 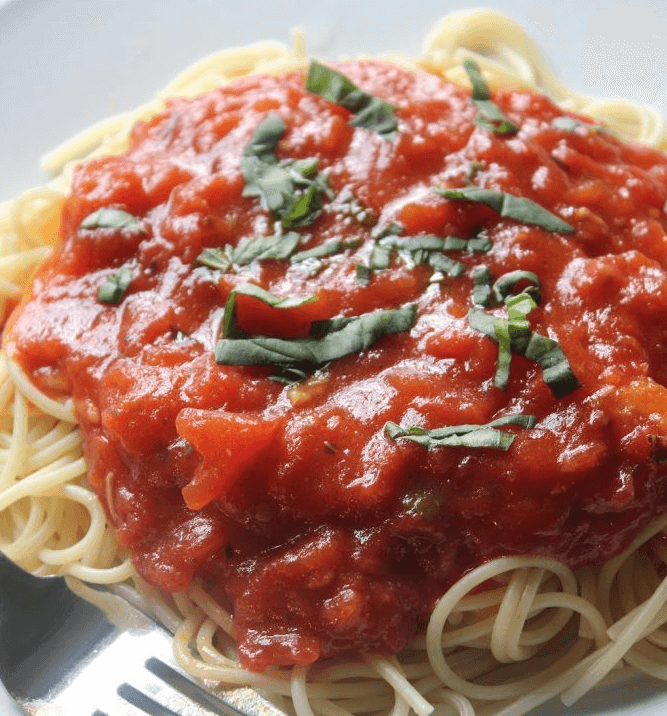 Being a tomato lover myself, I absolutely can not get enough of this No-Cook fresh tomato sauce recipe from Delicious on a Dime. Another Instant Pot recipe, this one will please those family members who just aren’t fans of the red sauces! I have a kid in the house who adores this Garlic Butter Spaghetti recipe from Recipes From A Pantry. As moms, there is nothing we love more than ways to make our lives easier. Making dinners ahead of time and freezing them is my favorite way to make life easier! 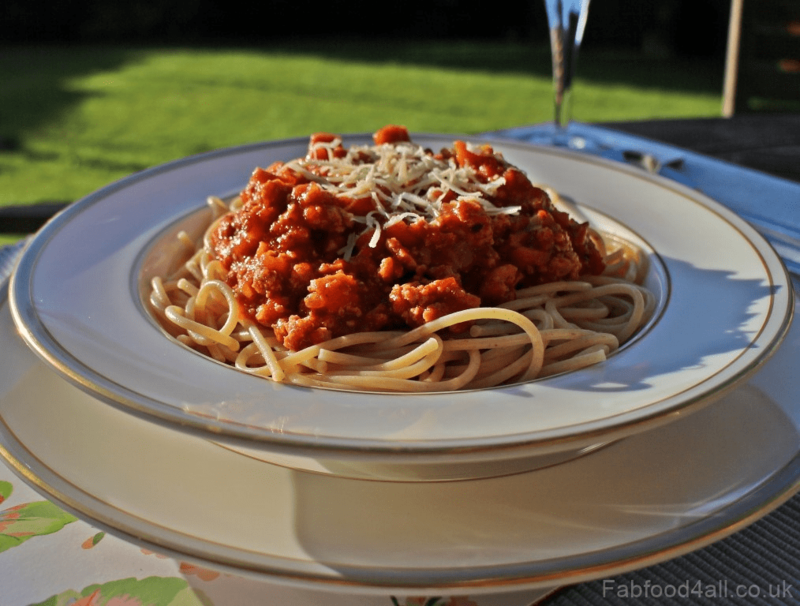 Freezer Meals 101 has the best Freezer Spaghetti Sauce Recipe! 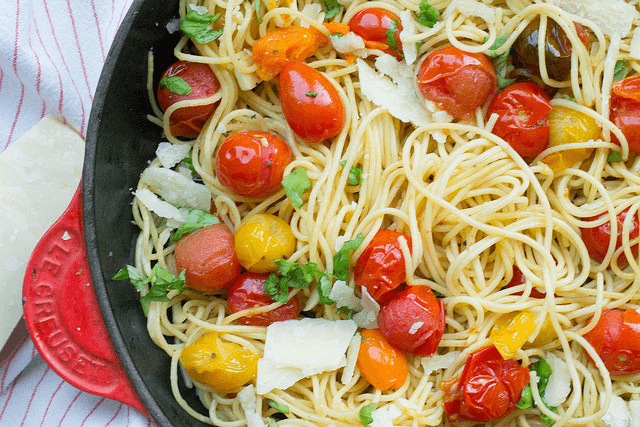 From delicious roasted tomatoes to that comforting parmesan flavor, this recipe from An Italian In My Kitchen truly hits the spot! Spaghetti Aglio e Olio is traditionally made with garlic and olive oil and often red pepper flakes. 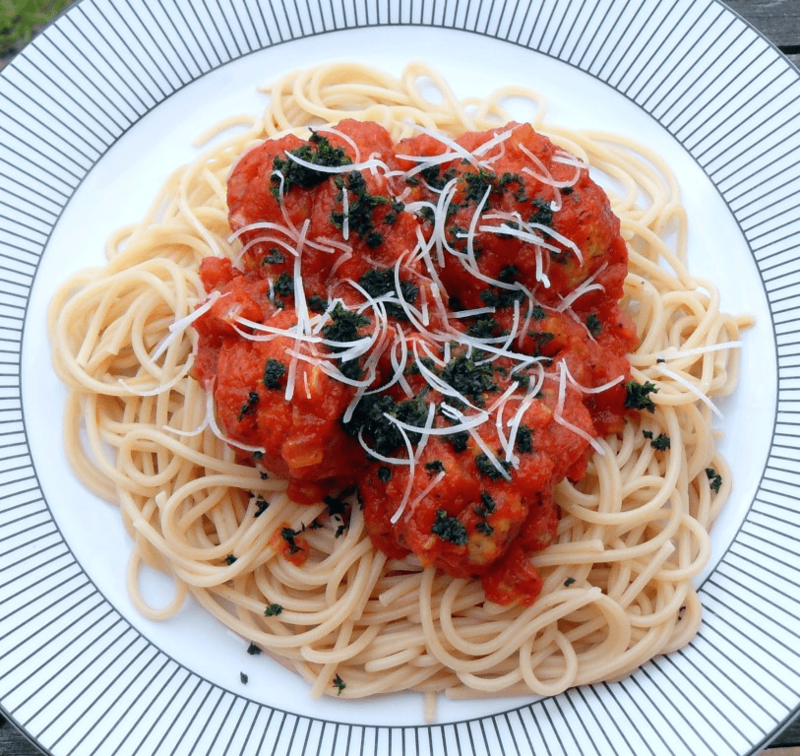 Check out this tried and true recipe from An Italian in My Kitchen for a unique variation of spaghetti! 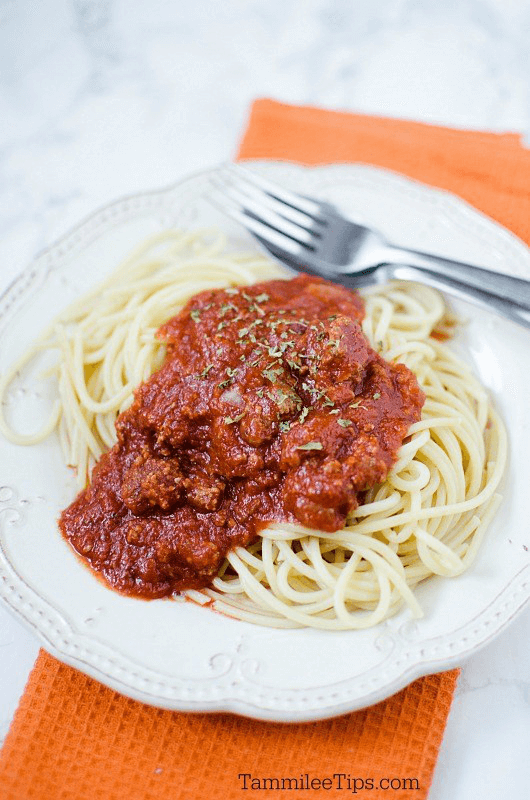 Spaghetti with meat sauce doesn’t have to mean beef! 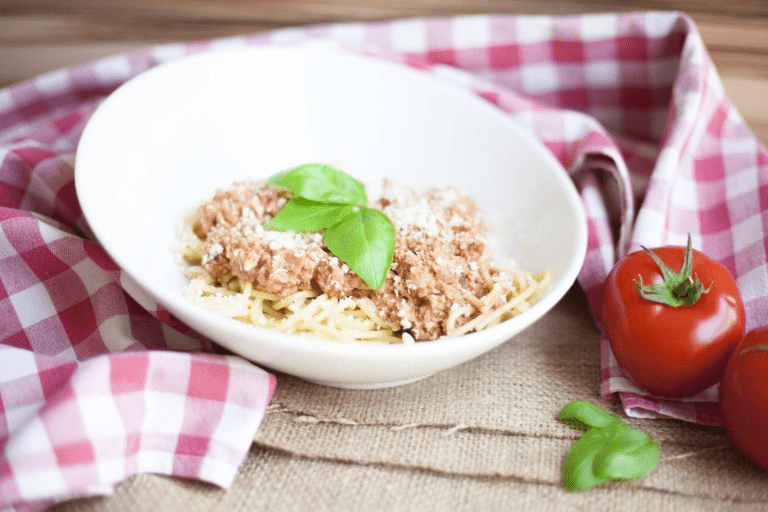 This turkey bolognese recipe from Fab Food 4 All is a healthier version of the traditional spaghetti dish! 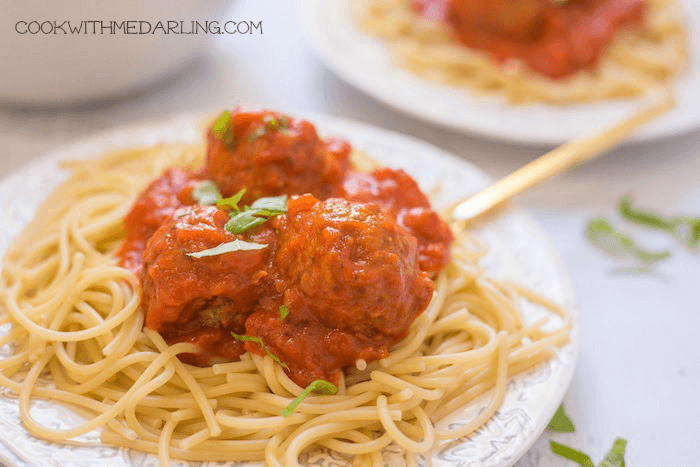 Making these turkey chorizo meatballs from Fab Food 4 All is a surefire way to please the entire family on pasta night. Another basic spaghetti sauce using ground turkey rather than beef, the unique taste of this recipe from Cook This Again Mom is just enough to keep everyone intrigued without tipping off the kids that it’s slightly healthier! Nourish and Fete makes spaghetti new again by utilizing fresh ingredients that are prepared fast and with little to no fuss! With a name like Bacon is Magic, you know that any recipe is sure to be a hit! 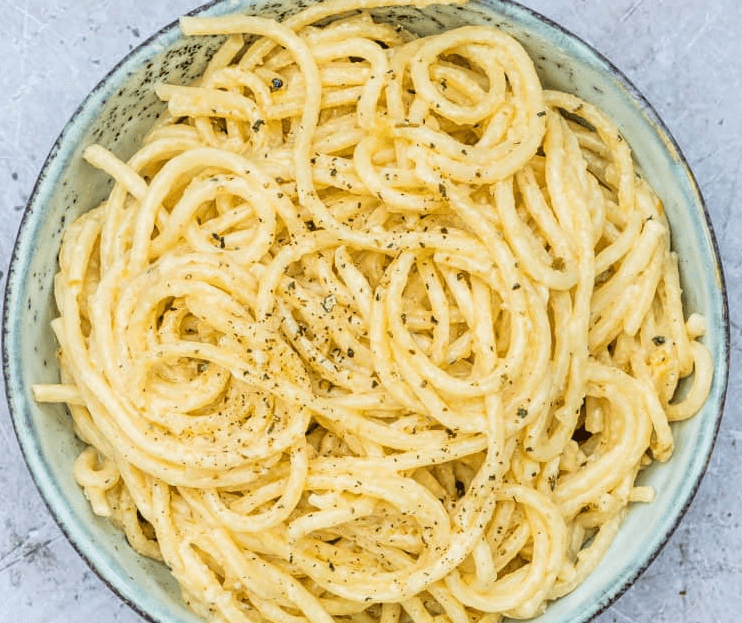 This one for Garlic spaghetti pairs with a basil cream sauce to make this dish incredibly satisfying! 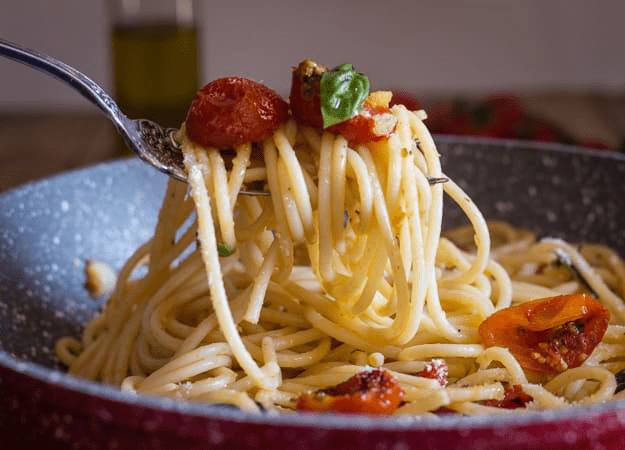 This recipe from Bacon is Magic is for a simple Spaghetti Aglio Olio, that they have affectionately nicknamed Poor Man’s Pasta! 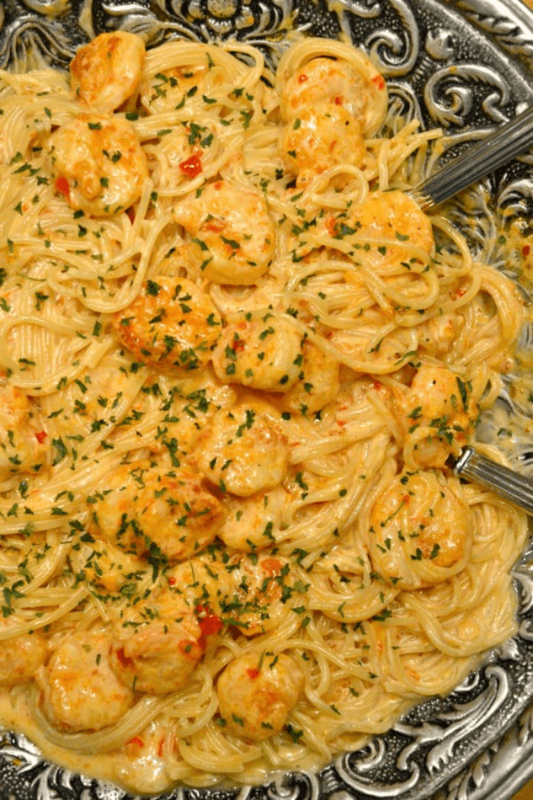 I am a huge fan of seafood and pasta, especially when served together! 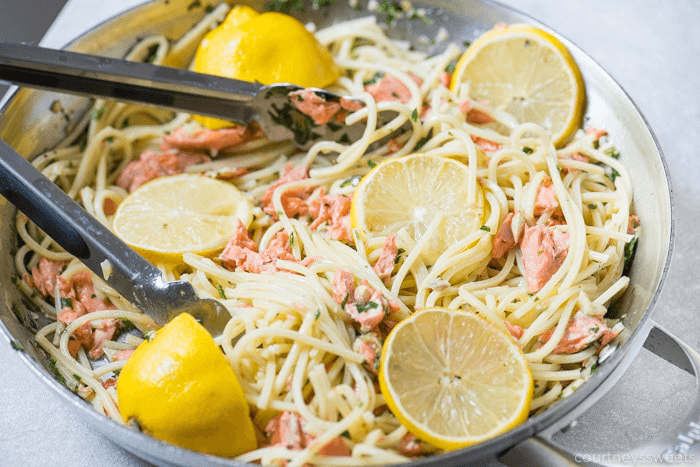 Courtneys Sweets shows us an amazingly easy way to prepare this Salmon Pasta with Lemon Garlic Butter that everyone is going to go nuts over! 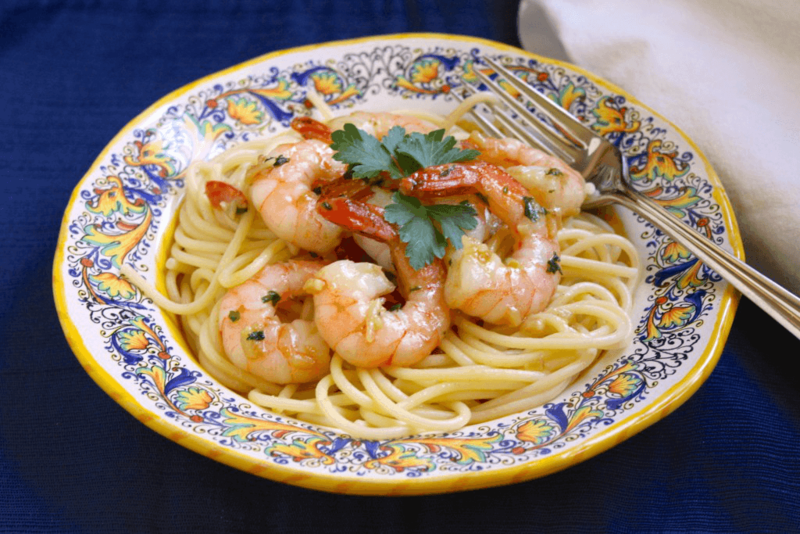 Probably one of my favorite seafood pasta dishes, Garlic butter shrimp with Spaghetti is definitely not your traditional red sauce dish! Try out this recipe from Christinas Cucina for an entirely new way to enjoy pasta! 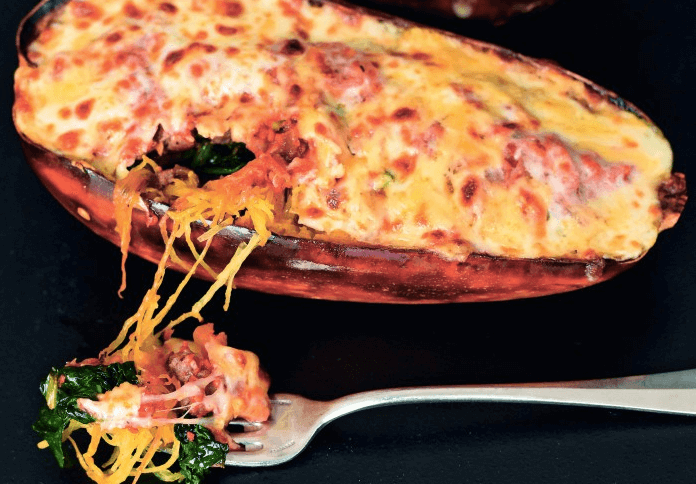 An incredibly easy weeknight meal that can be thrown together in no time! 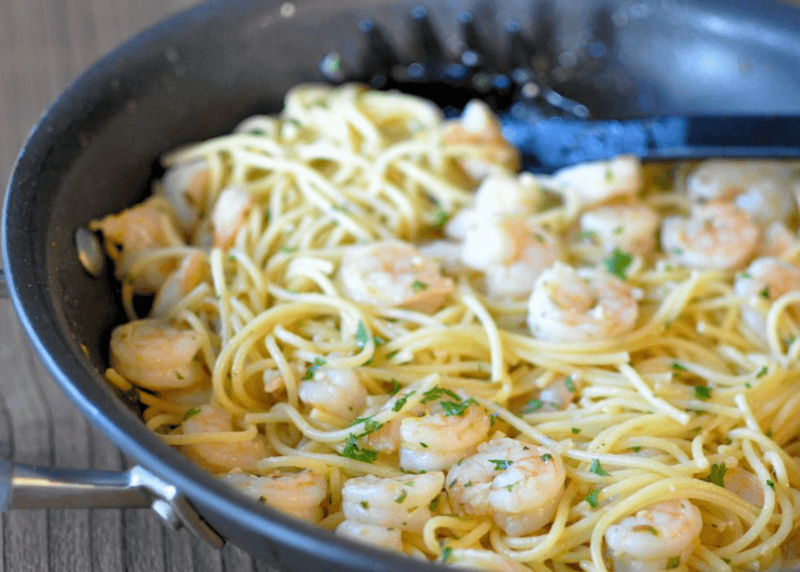 This seafood spaghetti from Cook This Again Mom is a great way to serve pasta without being “basic”. If this picture doesn’t make your mouth water… Oh my goodness. The creamy delicious flavor in this dish from To Simply Inspire is definitely one to add to your Spaghetti arsenal! Spaghetti Squash has become increasingly popular over the years as people have found it to be a great way to avoid those evil carbs while still serving “pasta” dishes! 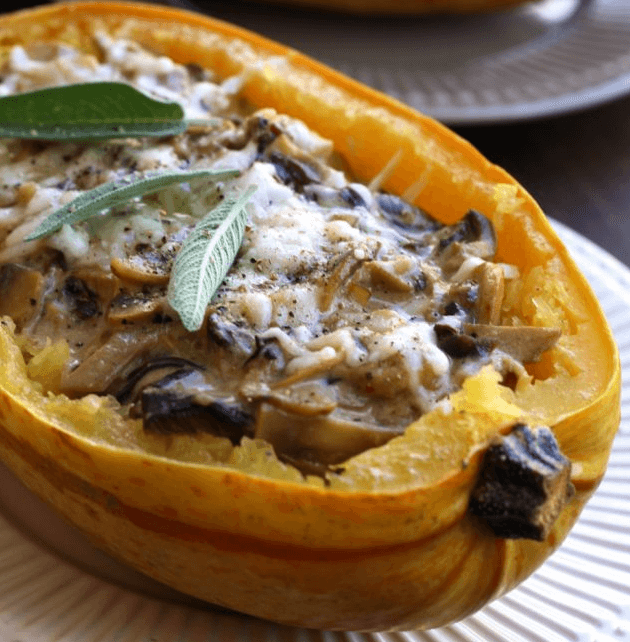 Try this awesome roasted spaghetti squash and mushroom recipe from Happy Kitchen and see how similar it really is to real pasta! 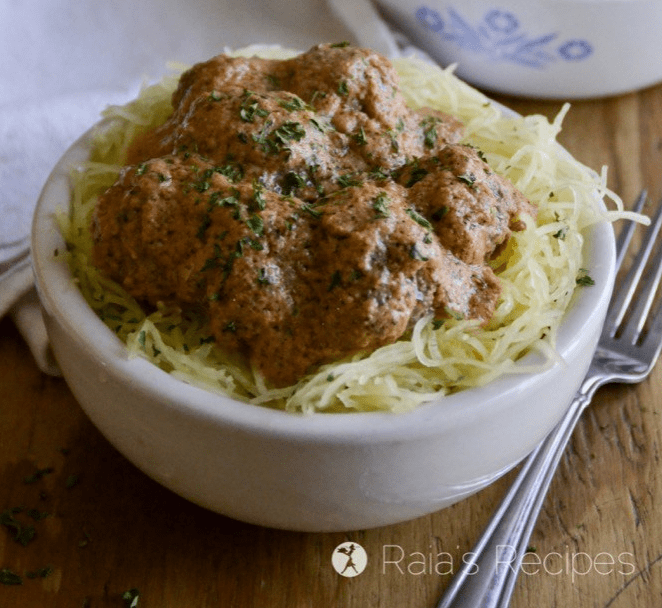 This recipe from Raia’s Recipes for Spaghetti Squash and Meatballs is completely grain-free AND egg-free, making it perfect for those with special diet considerations! I am a huge fan of lasagna and basically grew up making it from the time I could reach the stove. This healthier version, made with spaghetti squash, from Wholesome Yum is such an awesome way to serve a family favorite without all of those carbs! Anything stuffed and baked is basically a win in my home. 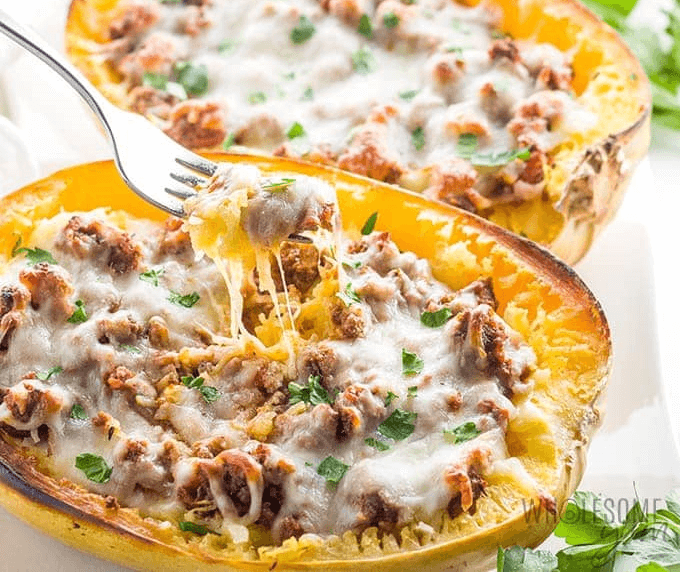 Delicious Obsessions shares a great recipe for turning spaghetti squash into a family friendly meal everyone is going to obsess over! 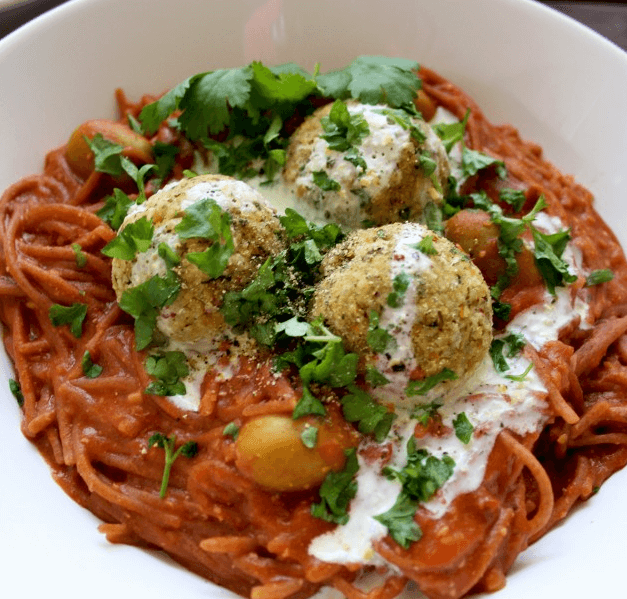 This amazing spaghetti and meatballs should be enjoyed by everyone, even if you’re vegan! Happy Kitchen gives us a great recipe for this! The Paleo diet is one that has increased in popularity and therefore, more and more recipes are being created around it. 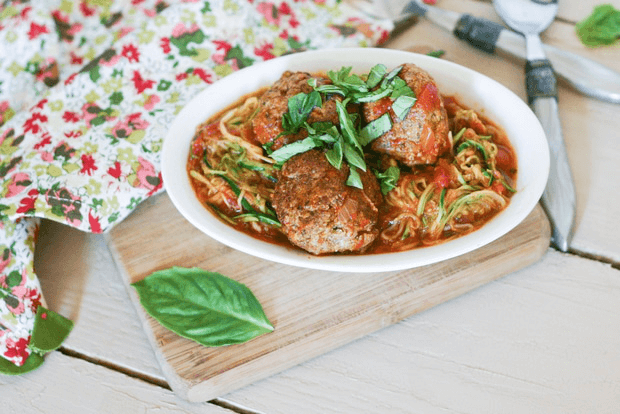 This Paleo Pesto Meatball recipe from Everyday Maven is pure genius! Check out this crazy delicious Spaghetti bolognese recipe that you would never even know was vegan! It is so full of flavor and still quite simple to prepare! My Pure Plants really hits the spot with this one! 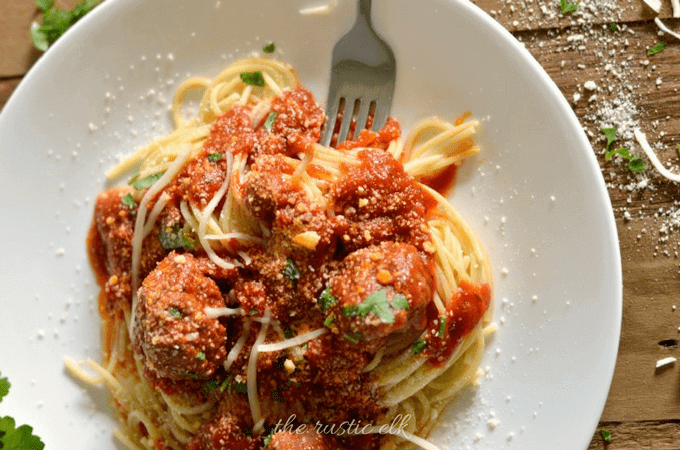 Using eggplant for these meatballs is seriously creative and I just love the idea! 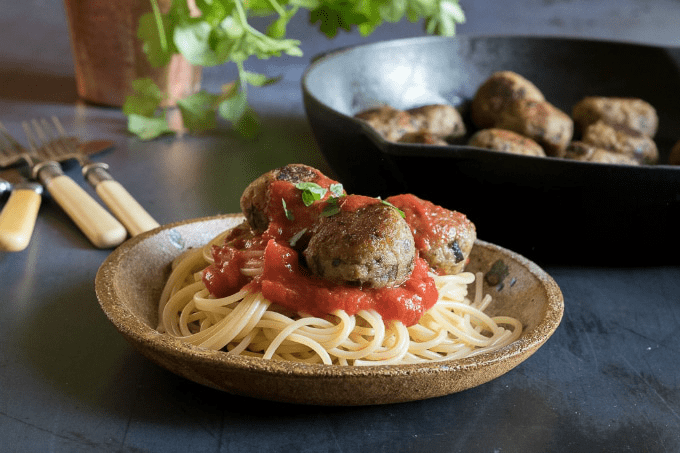 Veggie Desserts makes these vegan eggplant meatballs the best addition to a wonderful spaghetti dinner! 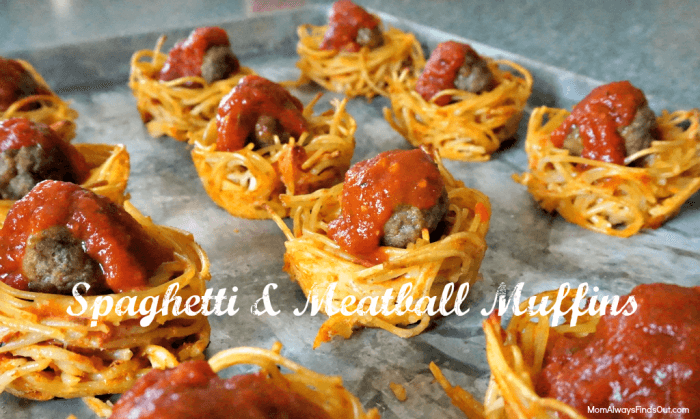 I love finding fun new ways to serve classic favorites and these spaghetti muffins from Mom Always Finds Out definitely fit the bill! My kid LOVES anything in muffin form! 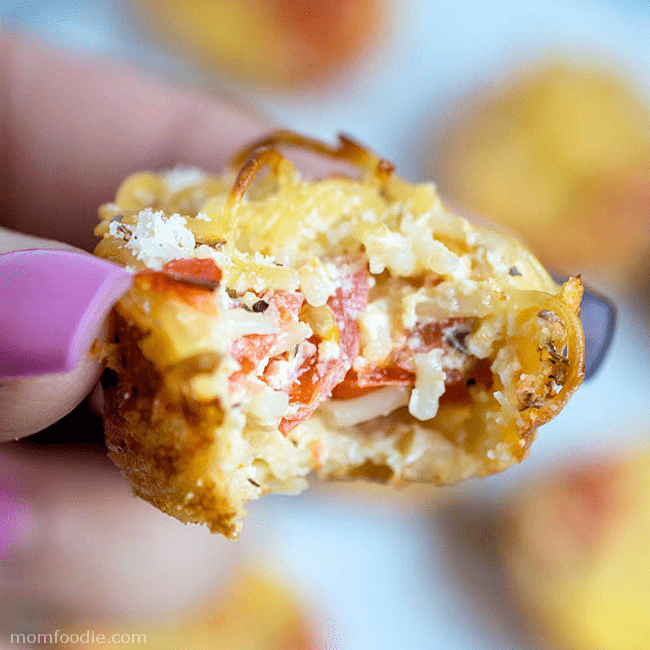 Another form of Spaghetti muffins, this recipe for Pasta Frittata Muffins from Mom Foodie is so incredibly flavorful you might never make traditional spaghetti again! 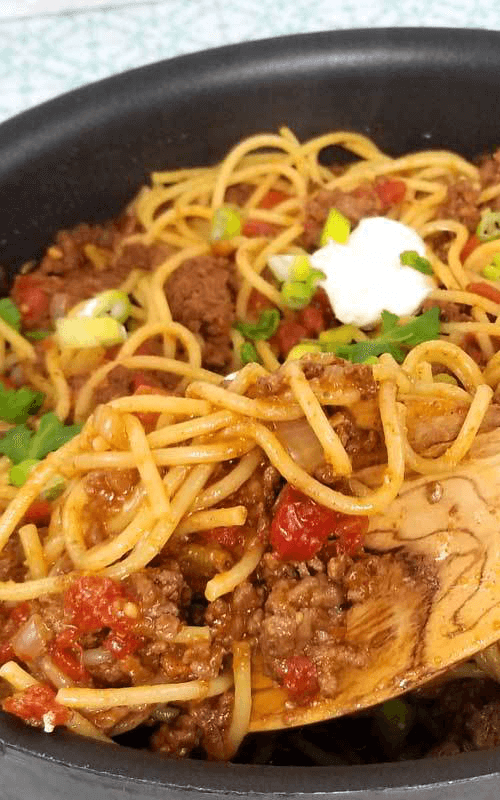 If your family loves taco night but gets tired of the traditional tacos, this taco spaghetti from Who Needs A Cape is one you will want to add to the menu! Sparkles of Yum has created the best of both worlds with this Mexican style taco spaghetti that can be ready in only 30 minutes! Moms are ALWAYS looking for those quick meal ideas! Looking for an entirely new way to make spaghetti that is nothing like the traditional? 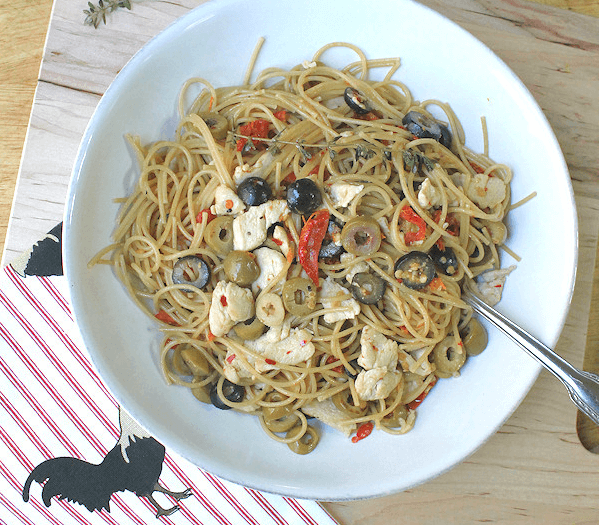 You have got to check out this chicken and olive spaghetti recipe from Mom Foodie! So zesty and full of flavor that you will be wishing you had leftovers! Anything with garlic and bacon is a definite win in my book! 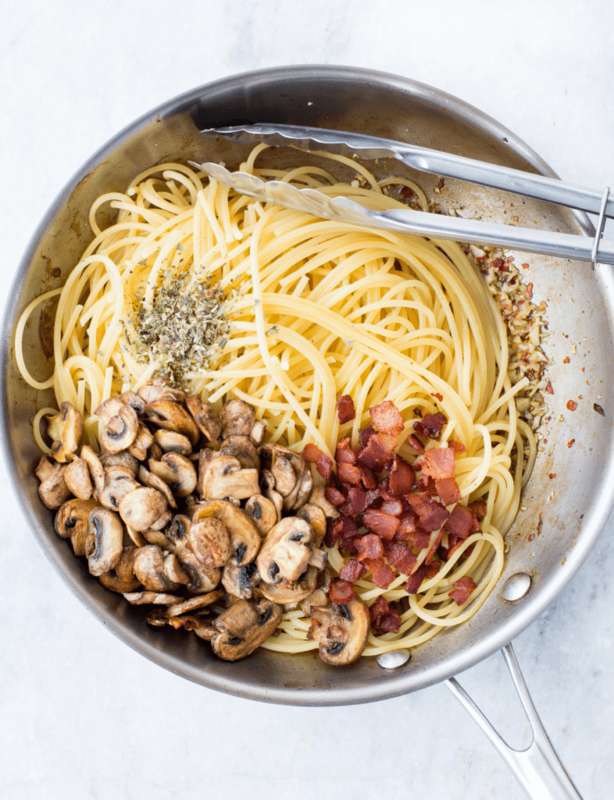 The Flavours of Kitchen has combined the amazing flavors of mushrooms, garlic, and bacon in this unique spaghetti dish to make a classic into a whole new meal! 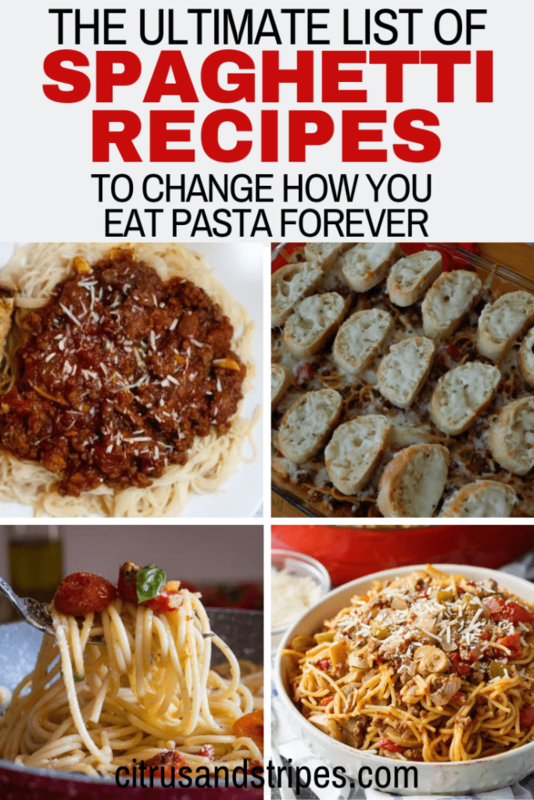 I seriously had no idea there were so many variations of spaghetti recipes! Did you guys know that people were making all of these incredible and unique dishes?! 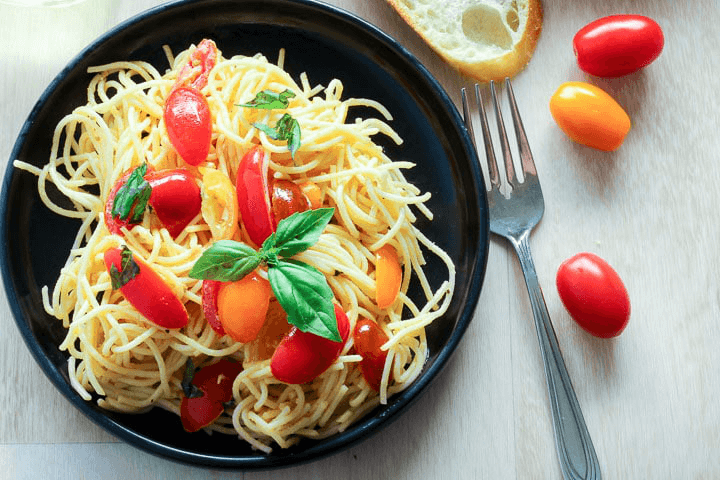 I don’t know about you, but I have a huge list of spaghetti recipes to try throughout the year now! Pasta is a serious staple in our household and as much as I try to avoid carbs, my family loves them! I do supplement with spaghetti squash or spiralized veggies when I can, though! 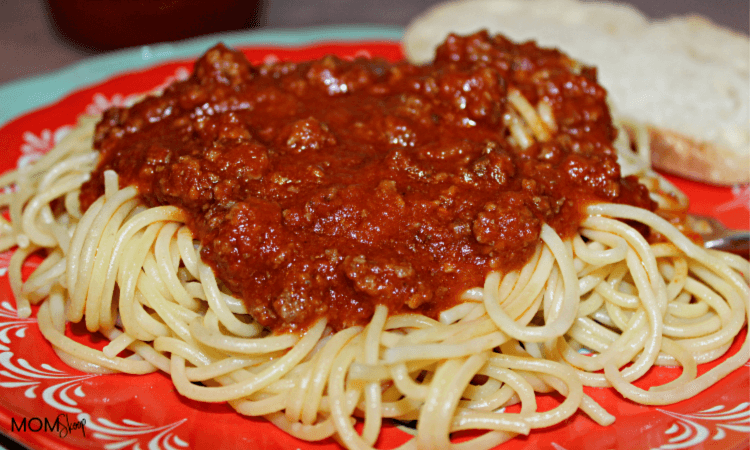 What Are Your Favorite Variations of Spaghetti? Does your family have staple Spaghetti recipes that you constantly make? I would love to hear them in the comments! Thanks so much for including one of my recipes. 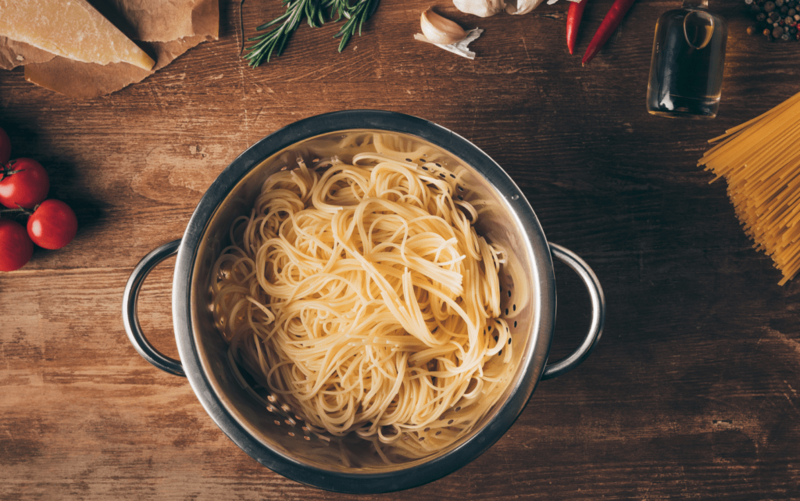 We love spaghetti in our house so will be giving some of these other recipes a try. We were so happy to include your contribution in this post! I am glad you’re excited to try out some of these awesome new spaghetti recipes! It is really an ultimate list of spaghettis. Such a comfort food perfect for so many variations. Thanks for including our vegan spaghetti recipe.